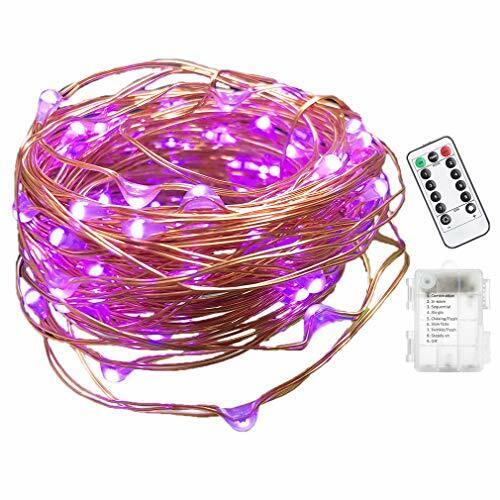 This battery operated remote string light is very popular now.It is easy to use and can be used in a variety of festivals,such as Christmas,Thanks Giving Day,Halloween Parties,Wedding,Party Decor etc..The copper wire is flexible, you can easily bend to whatever shape you want,wrap around items you wish,wreaths,trees,flowers,weddings with bouquets.With the remote control you can easily adjust the lighting mode and brightness.Use it you can create a lot of ideas for your patio,garden,bedroom,kitchen,backyard etc.I think you should need these lights to achieve your good ideas! If you have any questions about this product by Viewpick, contact us by completing and submitting the form below. If you are looking for a specif part number, please include it with your message.